Did you think you'd get a respite from superhero movies? Nope! 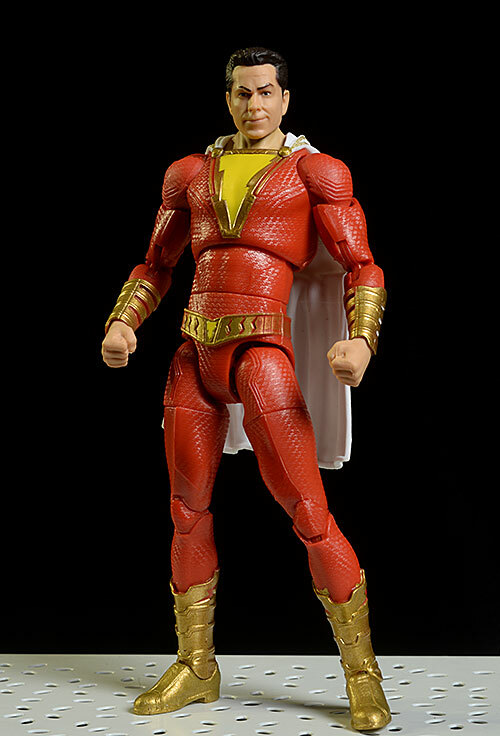 Next up, Shazam, part of the DC Universe, and a true Golden Age character. This is going to be a much more light-hearted and fun flick, and I'm expecting a Big Meets Superman vibe. The character has had a rocky history, and was a source of serious contention between Marvel, DC, and Fawcett for many years. 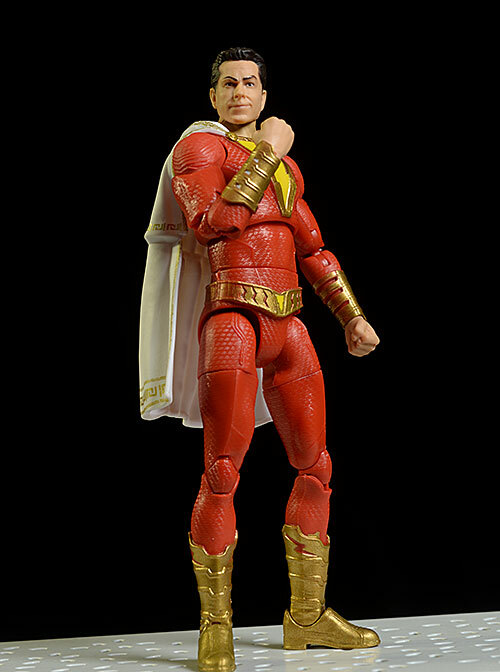 Created for Fawcett in 1939 and called "Captain Marvel", DC argued in court that he was merely a Superman rip off. The initial court case found in Fawcett's favor, but a later appeal said there was merit and it was sent back to the lower courts to determine if there really was copyright infringement. By this time - mid-50's - superhero comic subscriptions were falling drastically, and Fawcett decided it just wasn't worth pursuing any more. They agreed to an out of court settlement with DC, and part of that agreement meant they could never publish Captain Marvel again. Ah, but nothing ever stays permanent. The downward cycle of superhero comics reversed course in the 60's, and suddenly characters like Captain Marvel were hot properties. 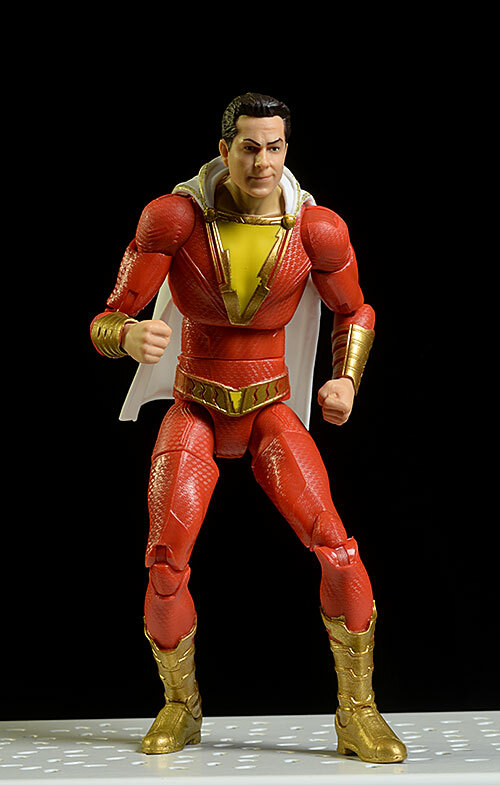 But Fawcett had screwed themselves with the settlement, so in the early 70's, they licensed the Captain Marvel character to DC to add to their stable of heroes. But the weirdness didn't end there. 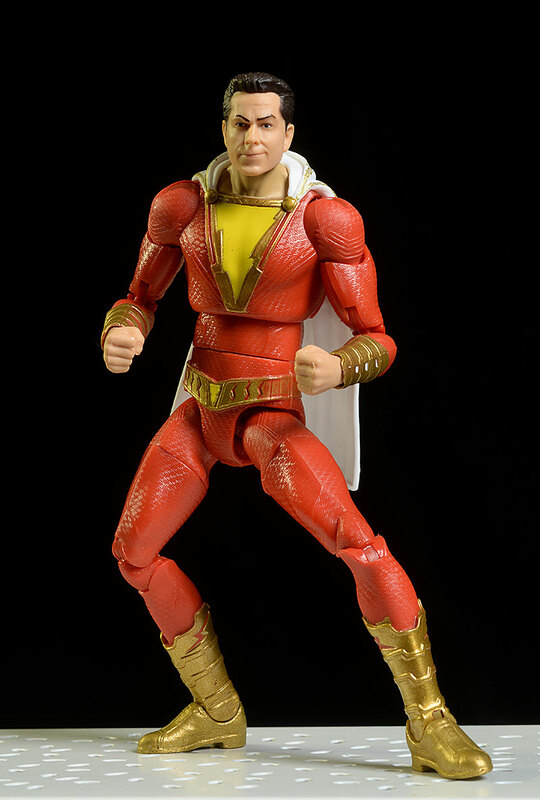 Marvel, being a crafty bunch, had already copyrighted their own Captain Marvel. Fawcett couldn't challenge it since they'd never proven their version was not a copyright infringement itself. 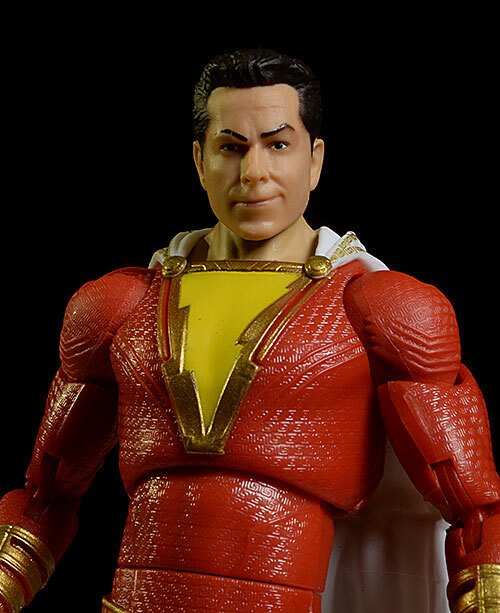 To avoid litigation with Marvel, DC labeled everything associated with the character "Shazam" instead of Captain Marvel. This lead to lots of confusion, with most people believing the character's name was in fact Shazam. So yea, he's had a weird history. And now he has a big budget movie, and the toys to go with it. 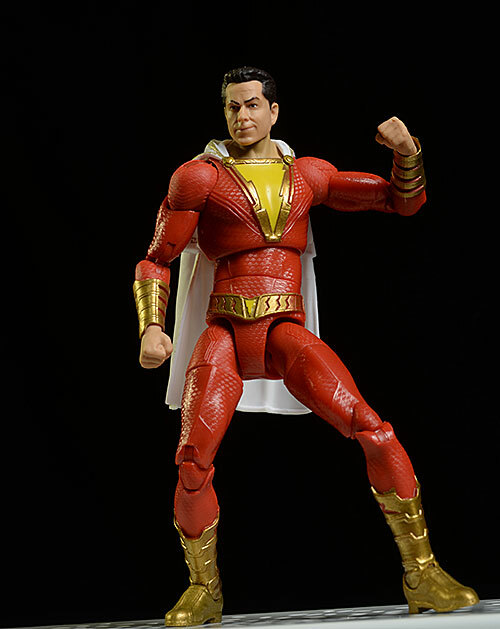 Wild guess, but I don't think he'll be called Captain Marvel at any time in the movie. 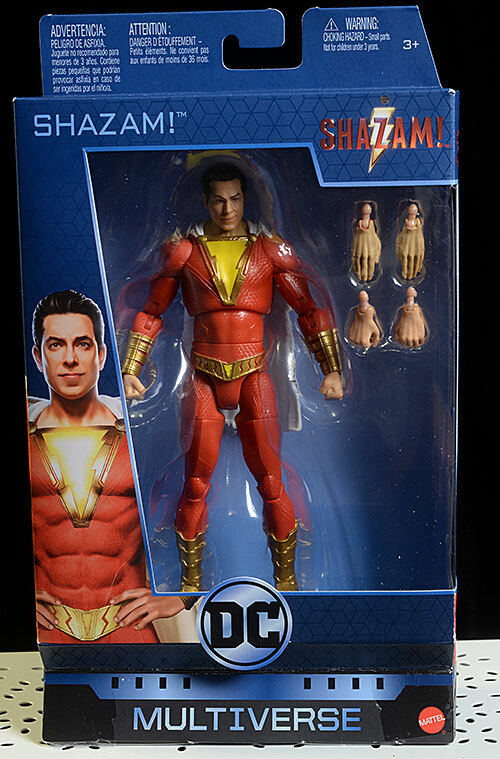 I grabbed this DC Multiverse Shazam at a local Wal-mart for $20. The Multiverse packaging is attractive, but not as collector friendly as some of the similar products - like Marvel Legends or Star Wars Black - currently on the market. It does the job, shows off the figure, and has some decent character personalization, but it also tends to blend in with the rest of the detritus on the pegs. The film version stars Zachary Levi, perhaps best known to nerds for his starring role on the show Chuck. Personally, I thought his best work was in Tangled, but that's just me. If you watch the Marvelous Mrs. Maisel, you know he's been bulking up for the part in this movie. The portrait is reasonable, but I couldn't pick him out in a line up. The realism is good though, particularly for this scale - remember, this guy is only about 6 1/2" tall - and there's decent detail in the hair and skin texture. 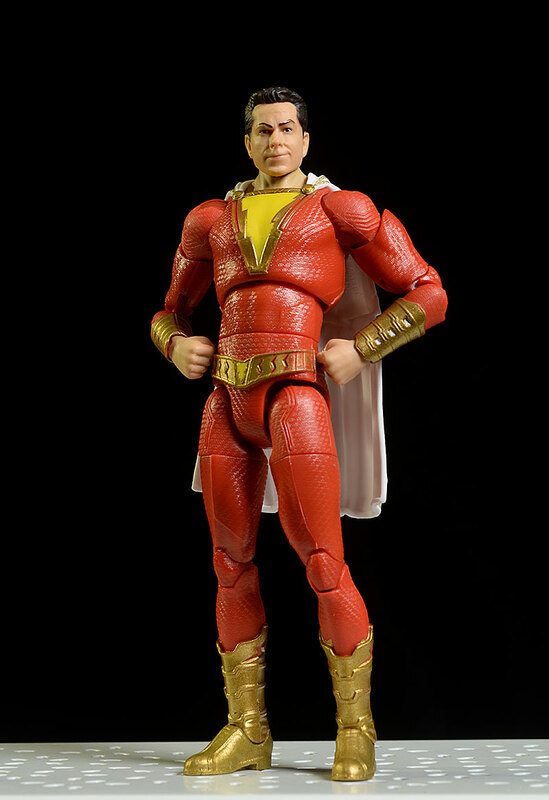 Even better is the suit, where there's a ton of sculpted texture and variation. But the body is where the other big nit comes in. The proportions are weird, with a bit more lankiness overall. The torso is stretched out too, thanks to the way the articulation is set up, creating an odd look. The production paint work has taken a serious step up with mass market toys over the last couple years, and this figure is a good example. The work on the face is clean, especially the eyes, lips, and hairline. It might look like there's something weird going on with the right eyebrow, but that appears to be intentional, and part of the smirking expression. The majority of the body is simply cast in the red color, but the painted gold and yellow areas have good edges. There's a bit of dirt in the yellow, but it's fairly minor. 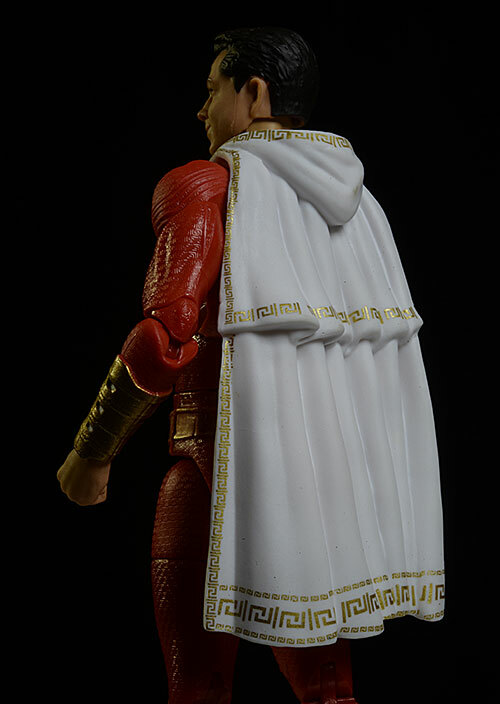 The cape is a bright white, and the gold trim is very well done. This figure has plenty of joints, and they actually work better than I had anticipated. The neck tilts and leans, and has enough range of movement to do a decent running or flying pose. The rotating hinge shoulders, cut biceps, and rotating hinge wrists and elbows work good. They allow for lots of natural arm poses, and the hands swap easily. The smaller joints are sturdy and solid. The rotating hinge hips, cut thighs, double pin knees, and hinge ankles are also solid. The torso has a rolling chest, and cut waist as well. Sadly, he's really light in this category. 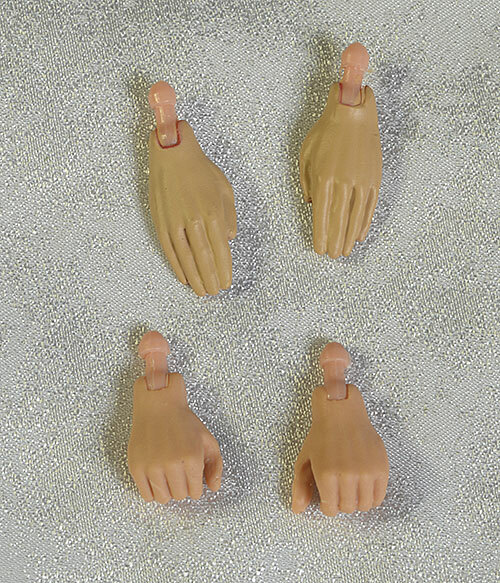 He comes with four extra hands - two flat 'flying' hands, and two gripping hands. They swap easily enough, and the posts were sturdy. But that's it. I gotta believe there's something in the film that would make a good add in, but only time will tell. With good articulation and solid build quality, this is a fun toy. The lack of accessories reduce some of the fun of course, but once kids see the movie, I expect this guy to be in demand. At $20, this guy would usually get a **1/2 (an average score). But with so few accessories I had to ding them this time. This is another film that, like Captain Marvel, I'm really looking forward to. And like Captain Marvel, I hope to be rewarded for the anticipation. This figure? Oh, it's okay. It's not going to replace any of my previous renditions of this guy on the shelf, and it will be a long time before anyone can knock the One:12 off the top spot, but this one is a fun movie based release that kids can have a great time with and won't break the bank account. Your best bet is your local retailers, where he can be had for around $20. 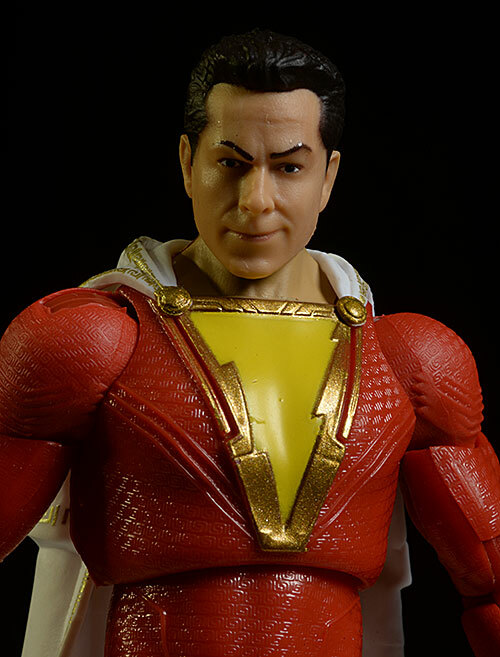 If you're looking for something a bit more high end - or more comic related - check out the recent release from Mezco in their One:12 Collective series. Mattel also did a comic version in their DC Universe line back in the day.